A rock solid new design. 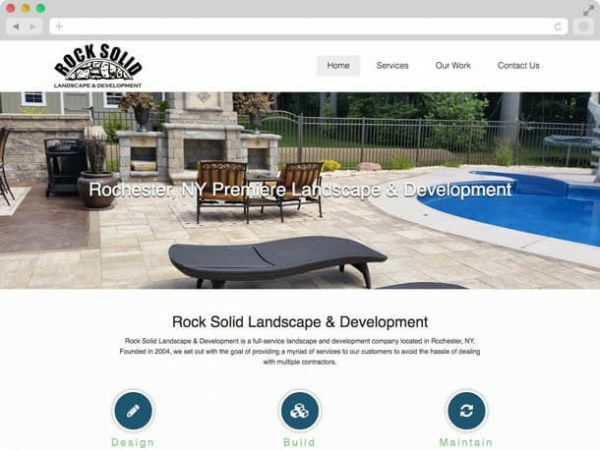 A full-service landscape and development company, Rock Solid provides the absolute best service in Rochester, NY. Unfortunately, their web presence was definitely not rock solid. After seeing the quality work they do and hearing their passion we knew this was going to be an amazing project. As with all of our projects we started with a deep dive into their industry and company. 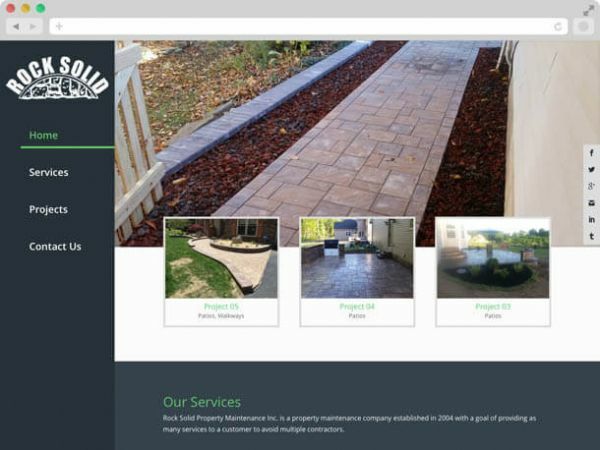 After we had a better idea of what they were looking for and what they offered we got to work creating a design as solid as the patios and walkways they specialize in. Now anyone can find them and see their amazing work from any device!